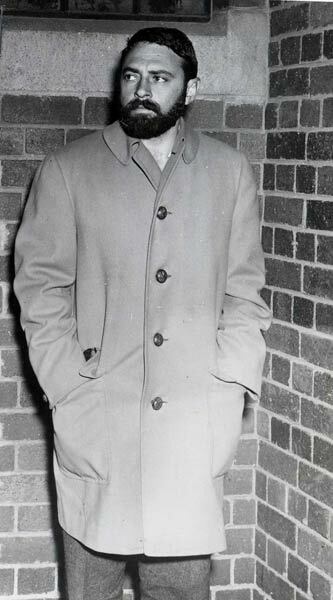 THE man believed to be the Zionist operative responsible for providing Nelson Mandela and the ANC with information regarding the use of explosives and war materiale, has been fingered as Arthur Goldreich. Goldreich was born in Johannesburg, South Africa, and settled in Israel, where he participated in the 1948 Arab-Israeli war as a member of the Palmach, the elite military wing of the Haganah. An article published by Israel’s Haaretz newspaper alludes to a letter from a Mossad official to the foreign ministry, dated October 11, 1962 titled “THE BLACK PIMPERNEL” and released to the public on Sunday, recalls a conversation in which “we discussed a trainee in Ethiopia named David Mobasari, from Rhodesia”. “The aforementioned was trained by the Ethiopians in Judo, sabotage and weapons,” the letter read. “The Black Pimpernel” was the nickname given at the time to Mandela, the revered anti-apartheid hero and former ANC leader who died this month, while he was on the run from white South Africa during the liberation struggle. It is possible but not unlikely that David Mobasari and Arthur Goldreich are one and the same person. According to Haaretz newspaper, which first reported the story, the term “Ethiopians” was probably a code name for Israeli Mossad agents working in Ethiopia. “He greeted our men with [Hebrew salutation] ‘Shalom’, was familiar with the problems of [Jewish diaspora] and Israel and created the impression of an educated man,” the letter read. According to the letter, Mandela took an interest in the methods of the Hagana and Jewish militias that existed before Israel’s creation in 1948. The Nelson Mandela Foundation, however, said in a statement that “it has not located any evidence in Nelson Mandela’s private archive [which includes his 1962 diary and notebook] that he interacted with an Israeli operative during his tour of African countries in that year”. Malemanomics and the crass politics of Nationalisation.